Welcome to Day #12 of Chocolate and Caramel Theme Week, and Day #1 of Chocolate and Peanuts Theme Week. 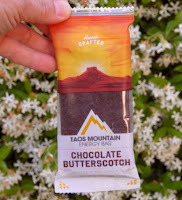 This two-layered Chocolate Butterscotch Energy Bar from Taos Mountain Energy Bar (Taos, NM) managed to capture the essence of caramel/butterscotch flavor, with a bit more staying power than sweeter chocolate confections with traditional smooth caramel filling. 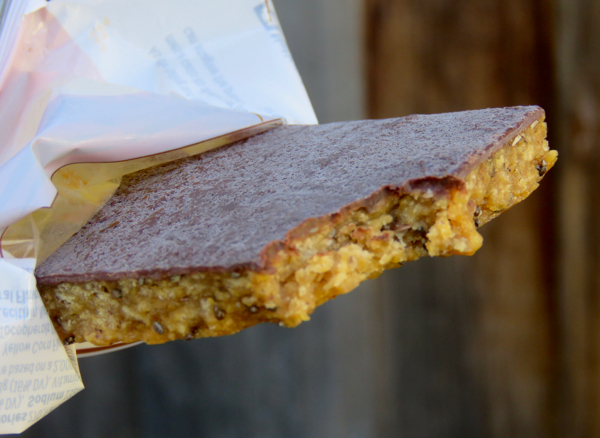 The base layer of this energy bar was composed of grains (mostly ground corn, with buckwheat, quinoa and amaranth), sugar, house-ground organic peanut butter, chia and flax seeds. And topping this bar that also incorporated a butterscotch syrup (Tapioca syrup-based) flavor blend, was a layer of fair trade dark chocolate. 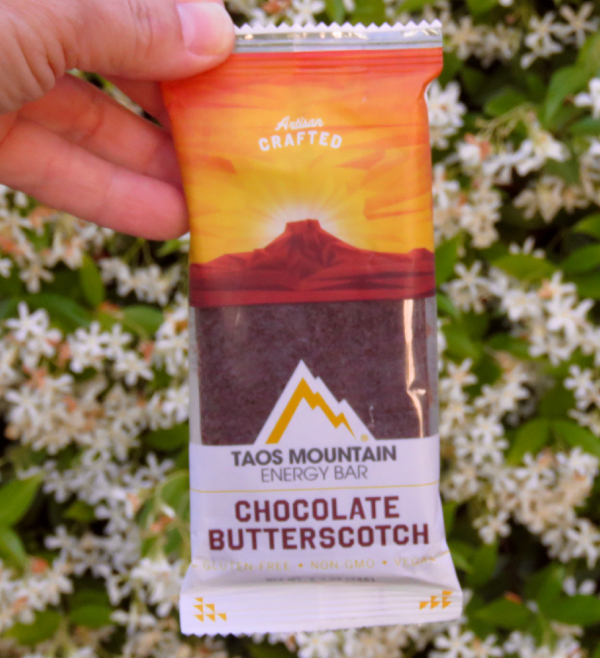 There are beautiful parks and hiking destinations in New Mexico; and Taos Mountain Energy Bar features some of these locations on their packaging. Today site featured on the Chocolate Butterscotch bar's wrapper: Cerro Pedernal.